WorkWave Route Manager is an all-in-one route planning and GPS tracking platform that helps last mile businesses work smarter and makes it easy to provide dependable delivery service. 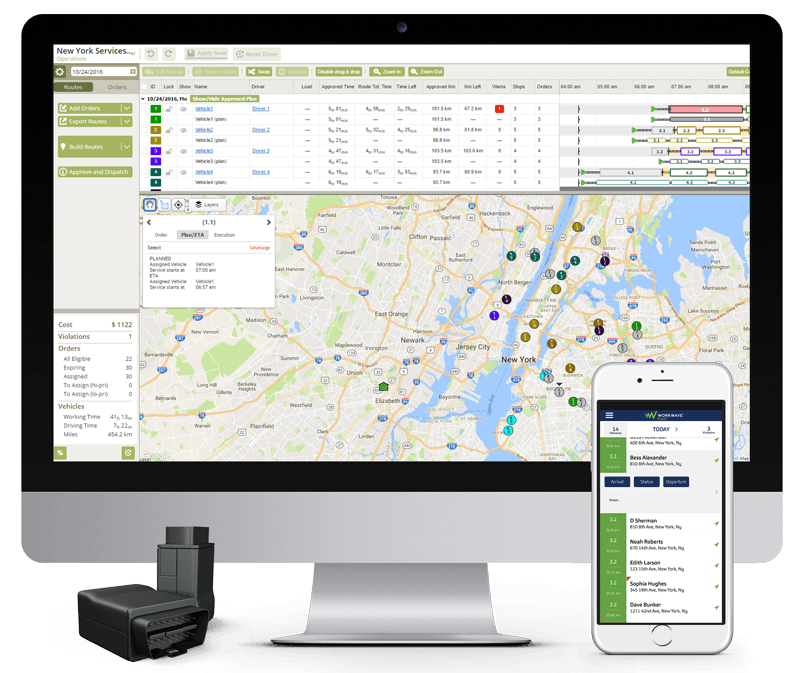 Route Manager is a turnkey SaaS solution. Features include time-window planning, GPS tracking, multi-stop orders, dynamic planning, flexibility with drag-and-drop editing, live ETA updates, driver app with proof of delivery, and more. Manage your operation from one screen with the tools to help you master your routes, maximize productivity, and delight customers. WorkWave Route Manager makes it easy for operations of all sizes to plan, route, track and analyze! It is a completely configurable solution that integrates into your existing workflows, processes, and CRM/databases through APIs available to all businesses. With route optimization powering your day, you’ll see benefits like: more orders served per day, less time planning, reduced mileage, reduced windshield time, limited idling, and less wear and tear on vehicles. WorkWave Route Manager provides free support, free training and onboarding, monthly customer workshops, and complete knowledge base. Our customer success team is here to help you see success and is with you from start to finish. WorkWave Route Manager is a powerful tool that’s used by businesses of all sizes. Still not convinced Workflow Route Manager is right for you? Use our Field Service Management Software product selection tool to browse additional solutions and get a custom recommendation. Learn everything you need to know about WorkWave Route Manager. Our experts will reach out to you shortly.